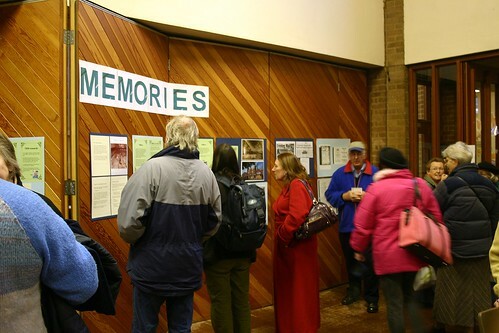 If you attended our Memories and Memorabilia Day in October 2009 you may have been fortunate enough to see Birmingham-born writer Simon Inglis’ excellent talk based on his book Great Lengths – The Historic Indoor Swimming Pools of Britain (Malavan Media, 2009). As editor of Played in Britain, English Heritage’s critically acclaimed series of books on the UK’s sports buildings and landscapes, Simon returns to Birmingham this Wednesday, January 12th 2011 (7:30pm) to lecture on the same subject, but with particular reference to the historic importance of Moseley Road Baths, at the January meeting of the Victorian Society. The meeting is open to everyone and the venue is the Council House in Victoria Square (please use main entrance) with a £4 admission charge. It promises to be a highly entertaining and informative evening and one that, not unsurprisingly, the Friends of Moseley Road Baths very much recommend. 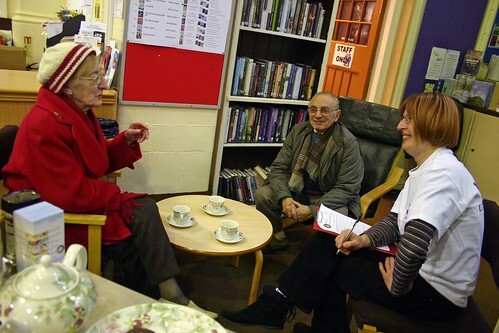 Several members of our group will be in attendance so if you get along, come and say hello. We now have for sale Moseley Road Baths greetings cards. The front of the card shows what we believe to be the earliest known image of the building, taken just prior to its opening in October 1907. We’ve left the inside blank for you to write your own message, while the back explains some of the things that make our favourite water palace so special and unique. 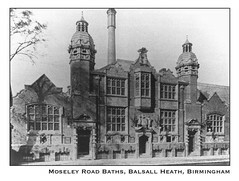 Printed on 300gsm silk paper, the A3-sized cards cost £4.50p for a pack of ten (including p&p, envelopes included) and are available from the Friends of Moseley Road Baths c/o 61 Eastwood Road, Balsall Heath, Birmingham B12 9NA. 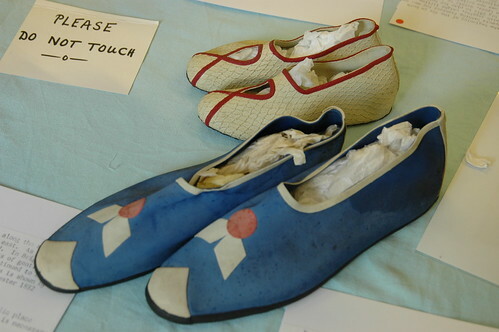 They can also be purchased either individually (50p) or in packs of ten from our stalls at various local community events (such as Moseley Farmer’s Market) as well as the reception desk at Moseley Road Baths. 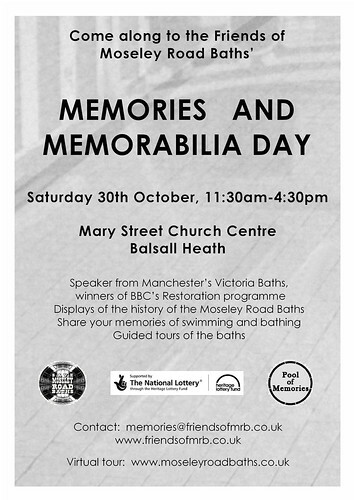 Please make cheques etc payable to The Friends of Moseley Road Baths.